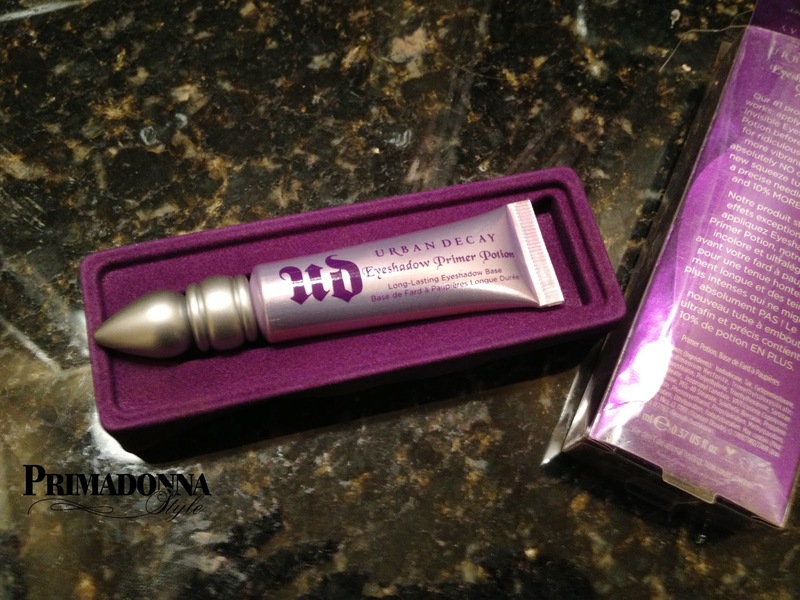 This week I'm highlighting some of my favorite beauty products and today's pick is an old fave: Urban Decay's Eyeshadow Primer Potion. I was introduced to this product the day of my good friend's wedding. As the bridal party scrambled to put on makeup a few hours before the ceremony, one of the bridesmaids offered me a few drops of Primer Potion. I applied the product to my eyelids and was immediately surprised at how vivid my eye shadow looked after application. I was even more surprised when I accidentally fell asleep in my makeup that night and woke up in the early morning with my eye shadow still perfectly in tact. Almost three years later this product continues to be a staple in my daily routine. It dries quickly, and keeps my eye shadow vibrant and in place. I'm also able to experiment with cheaper eye shadow brands because Primer Potion makes them go on smoother, look richer, and stay put. If $20 for this tube seems a bit pricey to you, just remember a little goes a long way. My first bottle lasted for two years and I used the product everyday!